Mom, Dad, and children will be very happy at these family sightseeing spots! Smiling kids make everyone happy? So let me introduce to you some recommended spots that will make the whole family smile. These spots are affordable (some even free) and some you can enjoy no matter what the weather. While your energetic children play, mom and dad can sit and relax at these great family vacation destinations! A tourist attraction where children can take the lead. 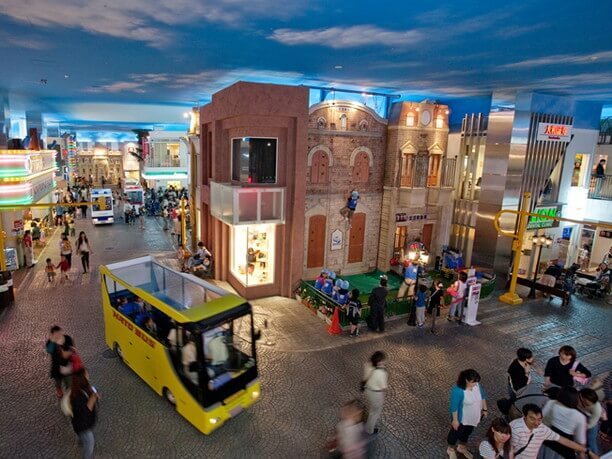 Children can have a “vocational and social educational based experience” at kidzania Tokyo. This is a tourist destination suitable for families who enjoy learning how society works. Over 90 different hands-on work and service activities! We recommend that as soon as you enter make your advanced reservations for activities you want to participate in! Looking for activities to experience? As you enter have one of your children ask the receptionist for suggestions. 【Hours of operation】Morning activities 9:00 a.m. to 3:00 p.m. afternoon 4:00 p.m. to 9:00 p.m.
A dream-like space loaded with items for the whole Family! 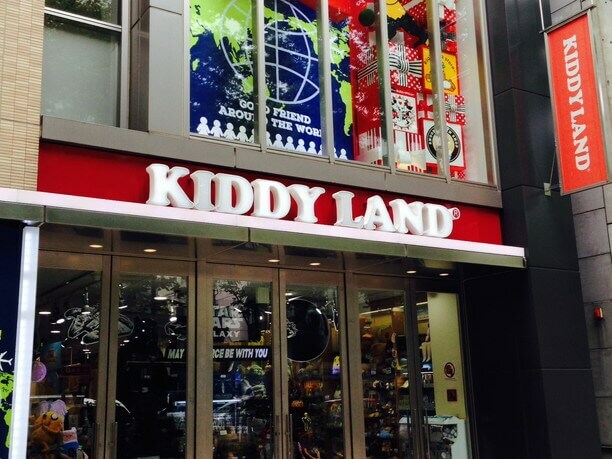 Kiddy land in Harajuku is a dream-like space, crammed with various anime, gadgets, and popular characters. On the basement 1st floor there is Snoopy Town shop. On the 1st floor there is “Funasshi Land Select Harajuku” where you will find stationery and Smartphones accessories. On the 2ndfloor there is Disney corner where you can find cute items for children and adults. The 3rd floor has miniature cars, model trains, and Star Wars items. The 4th floor has two major shops “Super character, Rilakkuma” and “Hello Kitty.” The whole family will be happy at Kiddy Land. 【Hours of operation】Mon-Friday 11;00 a.m. to 9;00 p.m., Saturday, Sundays and holidays 10:30 a.m. to 9:00 p.m.
Let’s go to the holy land of Lego blocks! 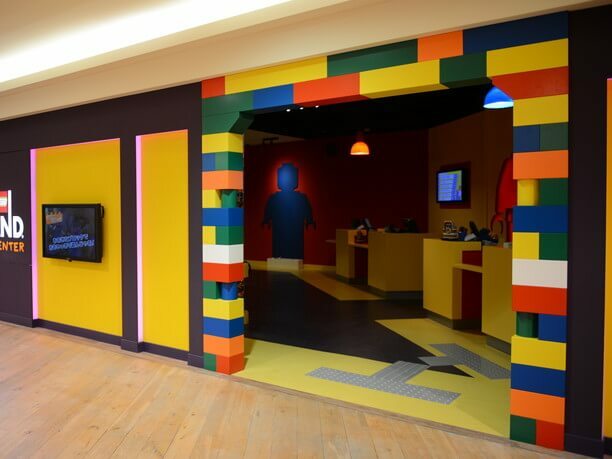 LEGOLAND Discovery Center Tokyo is a major Tokyo tourist attraction located in Odaiba. This LEGO® factory demonstrates how the soft plastic is formed into Lego blocks. Not just for boys, girls also delight in the popular color blocks, that can be made into a castle or house. 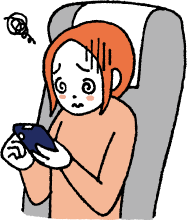 The boys are more likely to be found playing Kingdom quest where they can do battle with a monster using a laser gun. There is on display a 1,600,000 pieces reproduction of the sights of Tokyo, diorama. When it’s dark it is lit up and you can enjoy the feeling of viewing the of beautiful sights of Tokyo. It’s a great family tourists spots! There is too much to do in just one day at this exciting tourist attraction! 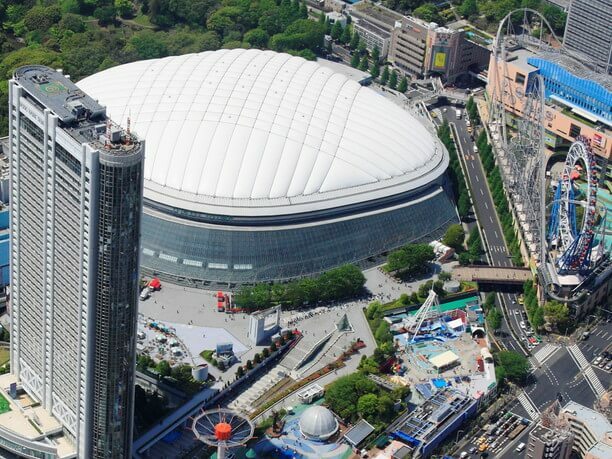 Tokyo Dome City has natural hot spring baths, restaurants, shopping & entertainment facilities. It is a great place to watch, play and relax. It is so big that you really can’t do everything in one day! The popular kid’s area Asobo-no! 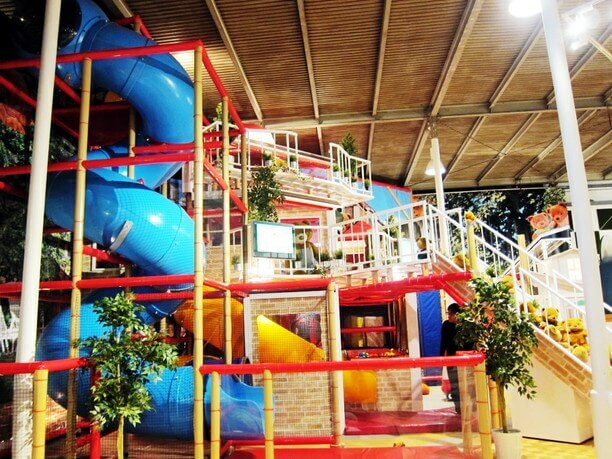 has playground equipment and offers one of the biggest indoor kids play areas in Japan! The Space Museum TeNQ is also very popular. It has projection mapping that depicts the cosmology of the ancient and the modern skies. Tokyo dome City also offers active play such as roller skating skateboarding a half pipe and mini ramp as well as bowling. Tokyo Racecourse is a facility for both adults and children. It is also a great place for a date. 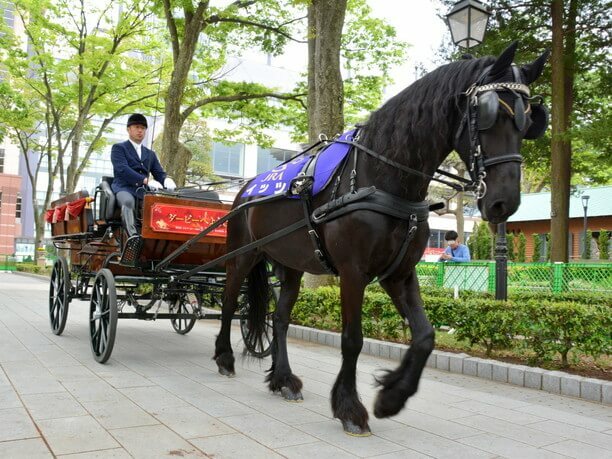 On Saturdays and Sundays there is guided horseback riding and horse-drawn carriages that pick you up in front of the main gate rose garden. The Hiyoshigaoka lawn and park areas have nets to climb on, slides, and rope ladders. 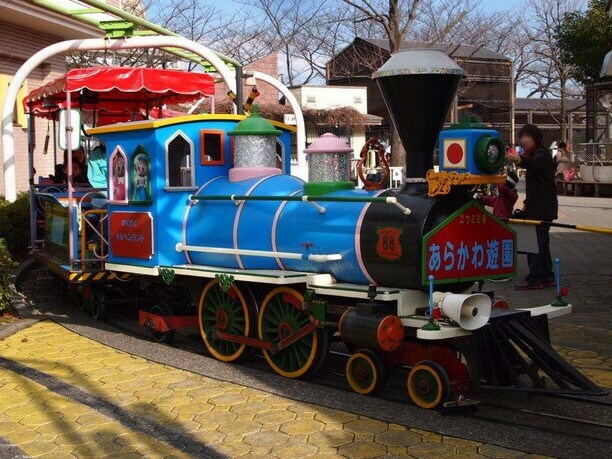 There is also a Mini-Shinkansen ride for free and a huge jungle gym. On certain dates they even have horse races. Even without horse racing there is plenty to do, like gourmet dining, charming shops to visit, and fun souvenir merchandise to buy. [Weekdays] 10:00 a.m. to noon, (1;00 p.m. to 4;00 p.m. on Wed). The perfect spot for a family vacation. The Asakusa Hanayashiki amusement park’s “rollercoaster” is the oldest coaster in Japan. They also have classic merry-go-rounds and a haunted house attraction. Admission for preschool-age children is free as long as they are accompanied by a paying adult. There are 21 types of popular attractions. In addition to the little buggers taxi, children 0 years old can enjoy another 9 attractions. There are an additional four attractions for children up to 2 years old and an additional 7 for older children and adults. 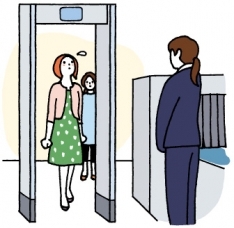 【Closed on Mondays】Closed maintenance: * for more information, please contact us. A great place to spend time with your children! “Arakawa amusement park” is near the Sumida-Gawa River. Close by is also the Arakawaw train station. This amusement spot is located in a residential area. The park is loaded with nostalgic toys. It looks like a small theme park from the Showa era. There are 3 areas to the park. The first area has a total of 6 rides, including a classic amusement park carousel, and coffee cup ride. The second area has a “family coaster” which isn’t too fast. Even small children can enjoy it. The third area has a petting zoo and pony rides that operate 3 times a day. All 3 areas can be reached by their mini train. 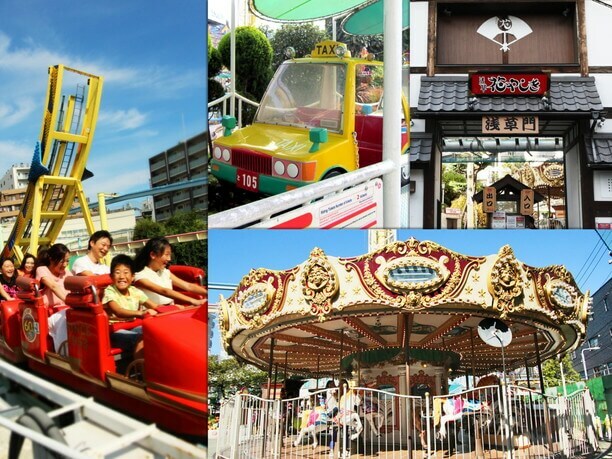 【Hours of operation】9:00 a.m. to 5:00 p.m.
A fun, free tourist attraction that the family can enjoy even on a rainy day! 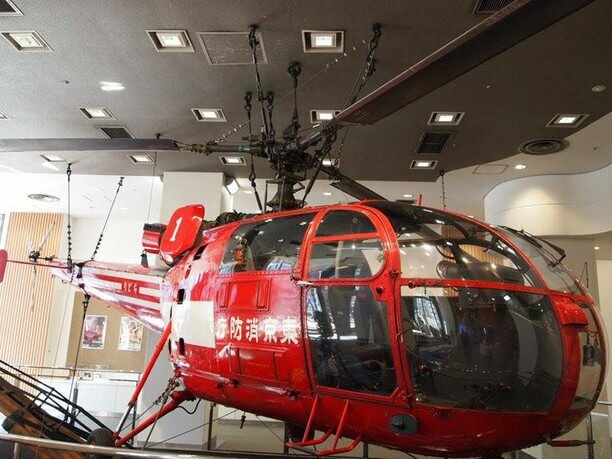 The Fire Museum is a place to learn about the firefighter’s job description, fire safety and disaster prevention from the Edo period up to modern times. It is a generally entertaining place with lots of fire trucks and firefighting helicopters on display. It is a free tourist attraction for the whole family regardless of the weather. A firefighting helicopter welcomes you at the front door. They provide theater and stage shows that make it easy to understand fire fighting. They also have a “fire-resistant’ clothes corner, where children can wear Firefighter’s uniform and have their picture taken. They can also go inside one of the trucks and even sound the siren. It is very popular with the boys. On the fifth-floor you can visit the outdoor firefighting helicopter pad. 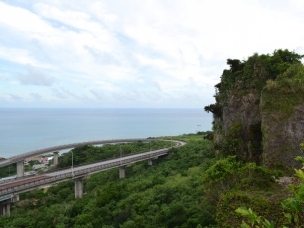 【Hours of operation】9:30 a.m. to 5: 00 p.m.
A family travel destination the children will love! Located in a warehouse in Kachidoki, the “Picnic Cafe, WANGAN Zoo Adventure is very popular. As you enter the door you walk into a large open play area where children can play, and mom and dad can spend time relaxing in a café. One of the special features is their collection of life-size stuffed animals such as an elephant, giraffe and zebra. It is a furry animal wonderland! Small children can play ball and explore full-sized rooms in a play house. This “wonderland” has so many things to do that most children feel they don’t have enough time to play with everything. Drinks and food are allowed! So it is easy to create a fun picnic mood. 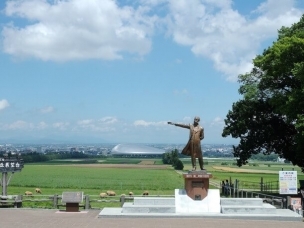 【Hours of operation】10:00 a.m. to 6;00 p.m.
Must see tourist destinations for Moms that have young children! 8 popular Tokyo dating spots that are definitely not tourist-packed!